Spiegler replacement OEM rotors offer superior performance over original equipment. Simply send us the complete brake rotor with carrier and we will transform it into a high performance product. All conversions are done exclusively in-house. Please remove the used brake rotor(s) from your BMW. Package them properly up, add your contact information to the package and send it to us. Our address is Spiegler Performance Parts, 1699 Thomas Paine Parkway, Dayton, OH 45459. We will remove the old outer rotor, measure the carrier and inspect it for cracks and corrosion. If the carrier is worn or defective we will advise accordingly. If the carrier passes inspection, it will be surface treated. After surface treatment the carrier will be machined. The new stainless steel rotor will be assembled to our exact specifications. The stainless steel floaters allow for a semi-floating assembly and therefore excludes any warpage. 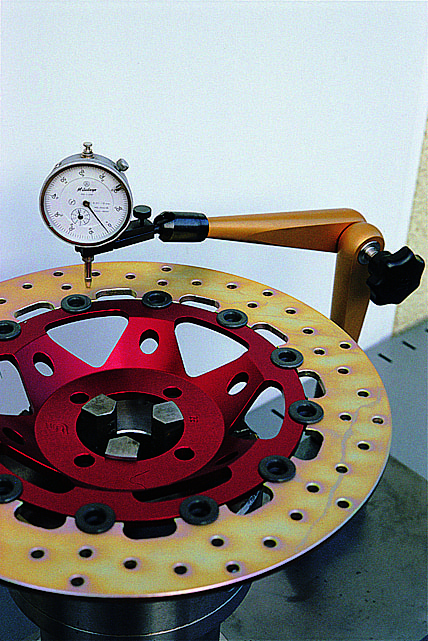 Quality control; after final assembly all brake rotors are measured to ensure they are within the specifications. We will ship the 'new ' brake rotor(s) to your address. To insure proper performance new brake pads should be ordered.